This opens up the files in vertical split mode. Default settings are generally good for viewing and understanding the diff. 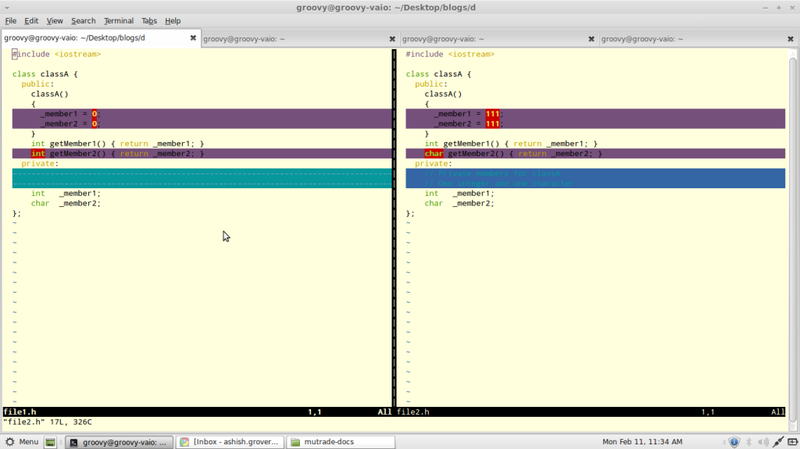 As you can see in the screenshot, vimdiff highlights the differences in different background colors. The above colors can be different in your terminal depending on colorscheme in your setup. Ideally, you can do a yank (yy) and pate(p) for different sections and do the merging. do – ‘obtain’ the difference under from other window. zo – ‘open’ a section of folded text. zc – ‘close’ a foldable text section. 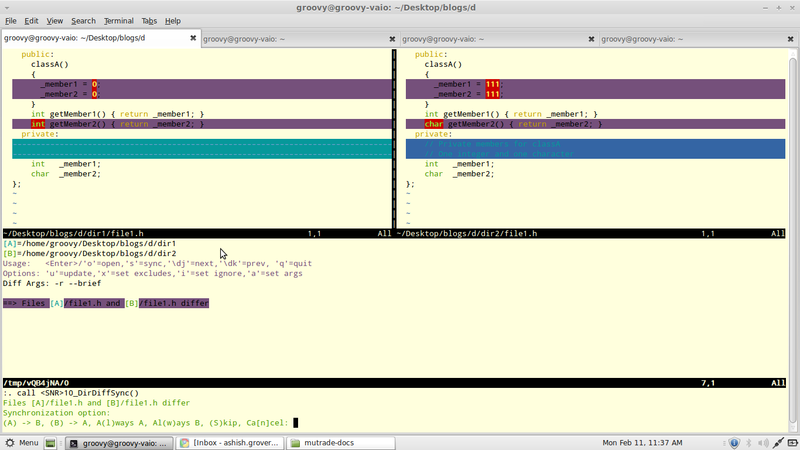 DirDiff.vim is a useful plugin for recursively diff and merge files. You get a vimdiff on top and the files selection below. Any vimdiff commands mentioned can be used. Various parameters for copying current diff or thw whole file come up as shown in picture. Hope this saves some time when use vimdiff next time.